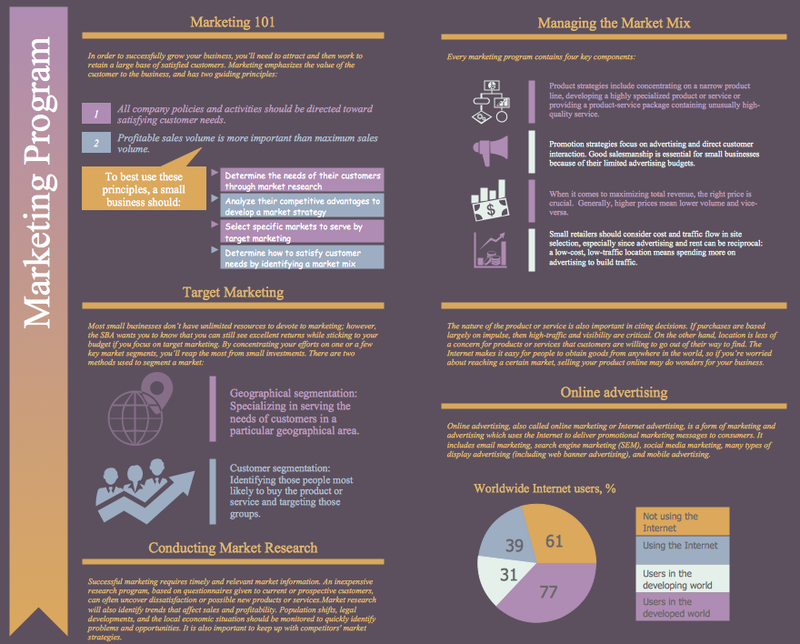 You need design the Marketing Plan Infographic and dream to find the useful tools to draw it easier, quickly and effectively? ConceptDraw DIAGRAM offers the unique Marketing Infographics Solution from the Business Infographics Area that will help you! ConceptDraw DIAGRAM gives you the choice - design your own Marketing Infographics in new blank document or use the predesigned templates or samples as the base. In first case you need create the new document and fill it. 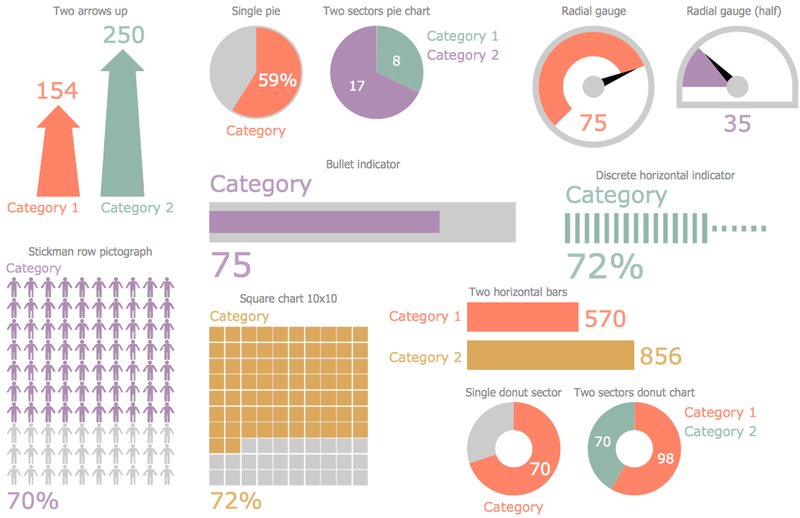 You can use the ready objects from the Marketing Infographics solution libraries, set values for the charts, type the text, set the colorful background, etc. In other case all that you need is simply choose the desired template or sample from the offered set in ConceptDraw STORE and use it as is or change for your needs. The samples you see on this page were designed in ConceptDraw DIAGRAM with help of design elements from the Marketing Infographics Solution libraries. An experienced user spent 20 minutes creating every of these samples. You can find them all in ConceptDraw STORE. 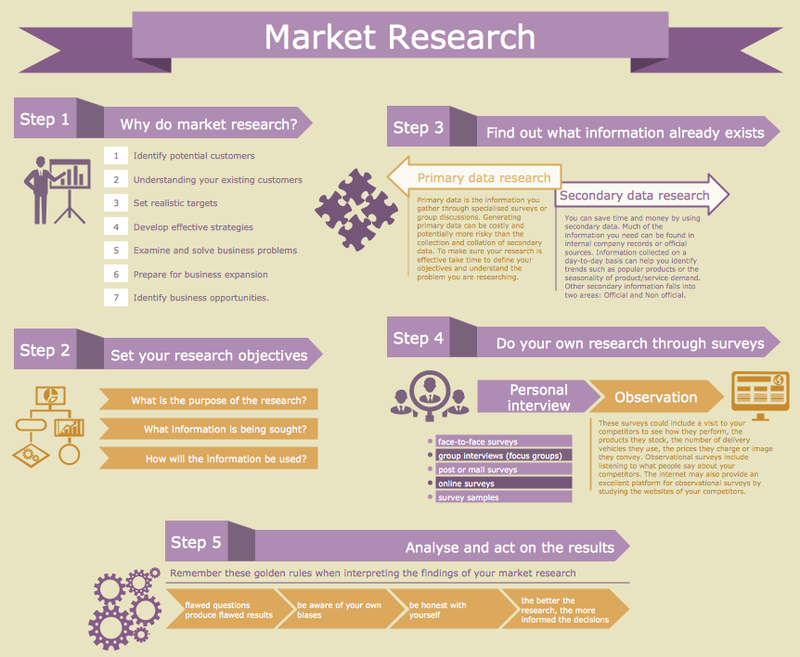 Use Marketing Infographics solution to design your own Marketing Plan Infographic quick, easy and effective. All source documents are vector graphic documents. They are available for reviewing, modifying, or converting to a variety of formats (PDF file, MS PowerPoint, MS Visio, and many other graphic formats) from the ConceptDraw STORE. 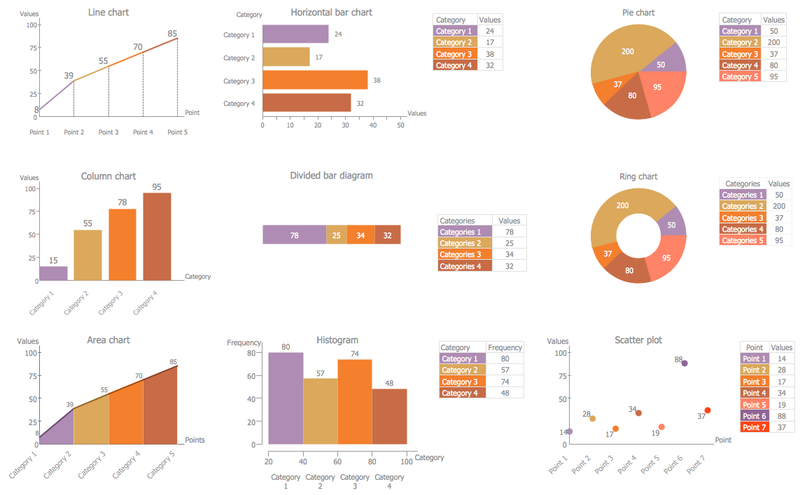 The Marketing Infographics Solution is available for ConceptDraw DIAGRAM users. Usually for drawing HVAC plans you need make a lot of efforts and spend a considerable amount of time. ConceptDraw DIAGRAM v12 software will help you radically change this. HVAC Marketing Plan design without efforts? It is reality with HVAC Plans Solution from the Building Plans Area of ConceptDraw DIAGRAM v12 Solution Park. The popularity of visual Data Infographics grows day by day. So it would be nice to have effective software for their quick and easy creating. ConceptDraw DIAGRAM v12 extended with Data-driven Infographics Solution from the “What are Infographics” Area of ConceptDraw Solution Park is exactly what you need.